Access PAMS November Newsletter HERE! 8th Graders are allowed to use lockers this year. The fee is $5 and needs to be turned into Mrs. Thomas in the office. Once the money is turned in students will be given their locker number. Students must provide their own lock. To prepare every student for success through high quality instruction and character building experiences. The mission of Port Allen Middle School is to provide the highest quality of education, and leadership skills, to all students so each reaches his/her highest potential. Welcome to Port Allen Middle School the home of the Eagles! At PAMS we believe every student has the right to the highest quality of education. We are committed to advancing our students, our teachers, and our administrators and motivating them to achieve their highest potential. We strive for instructional excellence and are committed to producing students that are life-long learners, so that they may become productive members of society. 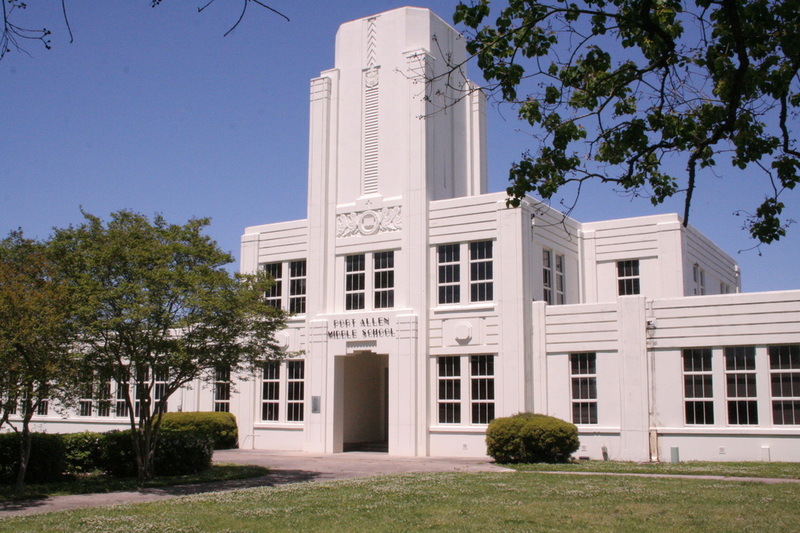 Originally the high school, Port Allen Middle was erected in 1937. It has been identified as a historical landmark based on the art deco style of the New Deal era. The building was completed in July 1938 at a construction cost of $158,795 and a project cost of $169,693. This project was funded by the Public Works Administration (PWA) as a part of FDR's New Deal, to put the unemployed to work on public projects including schools, community centers, bridges, etc. If you are interested in being a part of Port Allen Middle School's PTO, please fill out the following information below.